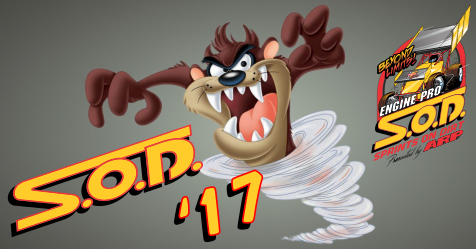 The 2017 Engine Pro Sprints On Dirt presented by ARP season is fast approaching, and racers and fans alike are chomping at the bit! The success of the beyond limits rules and Hoosier spec tires has resulted in no equipment or tire changes for the new season, so racers can focus on an action-packed season loaded with high-profile races. The ever-popular MAHLE/Clevite Beyond Limits Challenge will once again be a highlight of the 2017 schedule. The granddaddy of SOD’s three 2017 mini-series, the BLC’s five races at five different speedways present competitors with a real challenge. New for 2017, the Driven Racing Oil Battlegrounds Bash will give Butler regulars and SOD competitors an opportunity to face off against each other during all three SOD races held at Butler Speedway. The races will be held on three weekends that draw broad interest since two are during the Michigan International Speedway NASCAR weekends and the other during the MIS Faster Horses Festival weekend. Also joining the BLC in 2017 will be the King Engine Bearings King of Michigan series. Traditionally a prestigious single race event, the KoM has been expanded to include all four 2017 SOD races at Hartford Speedway. Engine Pro Sprints On Dirt presented by ARP races have been Hartford’s most popular races over the last three years, and the new Hartford track configuration are sure to be spectacular crowd pleasers. The MAHLE/Clevite Beyond Limits Challenge, the Driven Racing Oil Battlegrounds Bash, and the King Engine Bearings King of Michigan will each have a separate point fund and will pay each champion $1,000. Each champion will also have a guaranteed starting spot in the Mike Olrich Memorial Race on September 2 at Crystal Motor Speedway. The season will open on April 29th at the traditional home of the SOD season opener, Crystal Motor Speedway. While SOD newbies initially find the track easy to figure out, by feature time, it is a different story, and those with experience over SOD’s 37-year history at Crystal have an advantage. The race has a May 6 rain date. SOD competitors jump from the frying pan into the fire on two new tracks holding two mini-series point races on the May 19 and 20 weekend. Friday, May 19, the first of four King Engine Bearings King of Michigan series races will have SOD invading the drastically reconfigured Hartford Speedway 3/8 mile track for the first time. The next night, Saturday, May 20, the MAHLE/Clevite Beyond Limits Challenge opening race will have SOD headlining the history making opening of the newly built ¼ mile dirt oval at Baer Field Motorsports Park in Fort Wayne, Indiana. 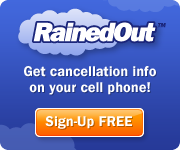 Baer Field has set a Sunday, May 21 rain date for the race. Friday, June 9, SOD returns to Hartford Speedway for the 2nd King Engine Bearings King of Michigan race. The next night, Saturday, June 10, SOD makes its only 2017 appearance at Thunderbird Raceway for the MAHLE/Clevite Beyond Limits Challenge #2. The month of June closes with two more series races. Saturday, June 17, the Driven Racing Oil Battlegrounds Bash opens with the Butler WWIII at Butler Speedway during the first 2017 MIS NSASCAR weekend. Saturday, June 24, SOD racers head north to Merritt Speedway for the MAHLE/Clevite Beyond Limits Challenge #3. July will see SOD return to Crystal Motor Speedway on Saturday, July 15, this time for the MAHLE/Clevite Beyond Limits Challenge 4. Saturday, July 22, during the MIS Faster Horses Festival weekend, Butler Speedway will host the second Driven Racing Oil Battlegrounds Bash race. On Friday, August 4, SOD returns to the Manistee County Fairgrounds after a long absence during its Onekama Days for the MAHLE/Clevite Beyond Limits Challenge Championship race, paying racers $350 to start. A week later, Friday, August 11, the third race of the King Engine Bearings King of Michigan series takes place at Hartford Speedway. Saturday, August 12, Butler Speedway the Driven Racing Oil Battlegrounds Bash Championship race will be held on the second day of the annual Butler Bash, during the last 2017 MIS NSASCAR weekend. Saturday, August 19, SOD will head north again to Merritt Speedway for the Allstar Performance Open Wheel Spectacular. Friday, September 1, Hartford Speedway, Hartford, MI, King Engine Bearings King of Michigan culminates with its championship race. The season-long points chase will end at Crystal Motor Speedway on September 2nd with the Mike Olrich Memorial Race. The 2017 Engine Pro Sprints On Dirt presented by ARP season will end on Saturday, September 30, at Berlin Raceway. The state’s nicest paved short track, Berlin will once again lay clay over the pavement. Competitors will race for $2,500 to win, $400 to start, and the top 3 in 2017 SOD points guaranteed feature starting positions. Engine Pro Sprints On Dirt presented by ARP is brought to you in 2017 by many important sponsor partners including: Engine Pro (Title Sponsor), ARP (Title Sponsor), Hoosier Racing Tire (Official SOD Tire), MAHLE/Clevite (Beyond Limits Challenge Sponsor), Driven Racing Oil (Battlegrounds Bash Sponsor), King Engine Bearings (King of Michigan Sponsor), Lane Automotive/MSD Ignition (Fast Masters Sponsor), Engler Machine & Tool (Primary Heat Race Sponsor), COMP Cams (Primary Heat Race Sponsor), RockAuto.com (Primary Heat Race Sponsor), The Perfit Corporation (Lucky Dog Sponsor), KSE Racing Products, and XYZ Machining. In addition, SOD contingency sponsors include: Allstar Performance, ATL Racing Fuel Cells, BR Motorsports, Diversified Machine Inc. (DMI), K2W Precision/Keizer Aluminum Wheels, King Racing Products, Kistler Racing Products, Maxim Racing, Motor City Racing Promotions, Racing Optics, Rod End Supply, Schoenfeld Headers, Simpson Racing Products, Walker Performance Filtration. 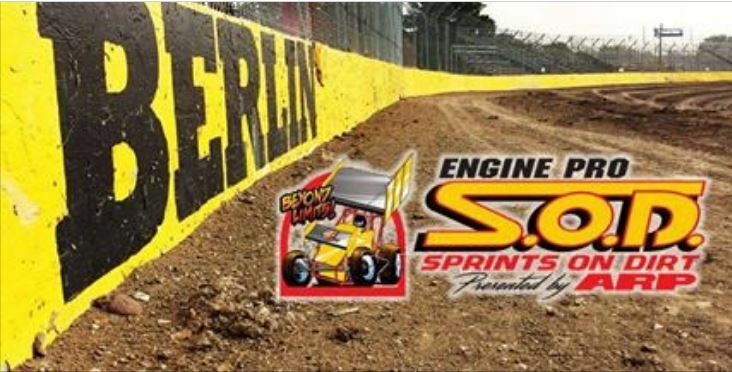 Dirt track racing returns to Berlin Raceway this year in spectacular fashion with the Engine Pro Sprints On Dirt presented by ARP ready to write an exciting new chapter in the track’s storied 67-year history. SOD will bring the curtain down on its 2017 season at Berlin on September 30th. Early plans call for a 22-car field, thirty lap feature paying $2,500 to win and $400 to start. This will be SOD’s third race at Berlin with previous appearances in 2013 and 2014. When it comes to oval track racing in Michigan, Berlin Raceway’s story is right at the top. In 1951, Chester Mysliwiec and family started a racing tradition which he called Berlin Raceway, an oval dirt track located within the Berlin Fairgrounds. 1966 saw the track paved as a 7/16 mile asphalt oval track. In 2012, Berlin Raceway returned to its roots, covering the asphalt with clay and turning the track into a dirt track for the month of September. In 2013, 2014, and 2015, Berlin Raceway again hosted September dirt track racing. Get to know Berlin Raceway at www.berlinraceway.com. Follow Berlin Speedway on Facebook at www.facebook.com/wherespeedbelongs. Engine Pro Sprints On Dirt presented by ARP is pleased to announce that long-time sponsor partner Lane Automotive and new sponsor partner MSD Ignition have joined together as the Engine Pro Sprints On Dirt presented by ARP Fast Master Award sponsors in 2017. When Engine Pro Sprints On Dirt presented by ARP decided to pay heat races winners last season, Lane Automotive jumped right in as a heat race sponsor. Now, with SOD’s 2017 race programs to include qualifying at most races, Lane Automotive and MSD Ignition have teamed up to sponsor the Fast Master Award that will award cash to each heat group fast qualifier. Founded in 1964 by George Lane, Lane Automotive has become a speed equipment industry phenomenon, and is now comprised of four separate divisions including Motor State Distributing, Allstar Performance, Lane Collectables, and the Lane Automotive Showroom. Known the world over as a premier supplier of performance parts and accessories for racers, hot rodders, truck and off-road enthusiasts, the company serves customers around the world from its ultra-modern 275,000-square-foot distribution center and office complex located in Watervliet, Michigan. Visit www.laneautomotive.com to learn all about Lane Automotive. MSD was founded in 1970 and is one of the most recognized industry names in ignition system products, EFI products and high performance parts. The company designs, develops, tests and assembles its entire line of ignition boxes, crank triggers, distributors, EFI systems, transmission controllers, spark plugs, coils, spark plug wires, and other performance parts from its headquarters in El Paso, Texas, where it encompasses over 150,000 square feet and employees over 400 employees. Meet SOD’s newest sponsor partner at www.msdperformance.com. The Allstar Performance division of Lane Automotive is also returning as an Engine Pro Sprints On Dirt presented by ARP sponsor partner in 2017. Allstar will award the second place finisher in the Engler Machine and Tool heat race a $100 product certificate. Allstar Performance is dedicated to making race car or hot rod construction quicker, easier and less expensive. The Allstar Performance line of hot rod hardware has its own colorful catalog. The Allstar line is an outstanding collection of parts and accessories designed to work well and save the car builder money. Many popular Allstar parts are “one-off” designs, not to be found anywhere else that are capably manufactured by skilled craftsmen, many of whom are racers themselves. Visit Allstar at www.allstarperformance.com. 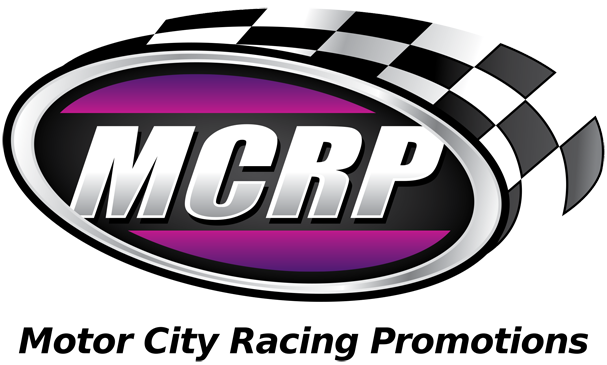 Motor City Racing Promotions (MCRP), based in Rochester Hills, Michigan, continues to expand its’ reach throughout the Great Lakes region of the United States. MCRP provided motorsports officiating services for the Engine Pro Sprints on Dirt presented by ARP, teaming up with long-time SOD event manager Pat Holzinger and chief pit official Roger Holzinger in 2016, and that won’t change for the upcoming 2017 campaign. New for the 2017 season between MCRP and SOD will be the expansion of the Media Relations Department headed by MCRP’s Chief Communications Coordinator, Matt Prieur, beginning with the second and third races of the upcoming season on Friday, May 19th at Hartford Speedway in Hartford, Michigan, for the first King Engine Bearings King of Michigan race. Then on Saturday, May 20th at Baer Field Motorsports Park in Fort Wayne, Indiana, for the MAHLE/Clevite Beyond Limits Challenge Race #1. The Columbus, Ohio, resident will oversee aspects of Media Relations while also serving as the new Voice of SOD for over half of the scheduled events in 2017. “We’ve worked diligently over the off season, continuing to improve upon our officiating program for SOD and we are very excited to announce this media relations expansion project” stated MCRP President, Scott Menlen. “Some of our primary goals with this project are to enhance the fan experience at SOD events and increase the amount of social media coverage of the events benefitting fans both at the event and those who cannot attend” Menlen added. The 2017 season for SOD begins on Saturday, April 29th at Crystal Motor Speedway in Crystal, Michigan. For more information about the Engine Pro Sprints on Dirt presented by ARP, please visit: www.sprintsondirt.com. You can also follow the series on Facebook at: facebook.com/sprintsondirt . For Twitter, head over to: @SprintsOnDirt . To learn more about Engine Pro, go to www.enginepro.com. For more information about ARP, go to www.arp-bolts.com. Engine Pro Sprints On Dirt presented by ARP is brought to you in 2017 by many important sponsor partners including: Engine Pro (Title Sponsor), ARP (Title Sponsor), Hoosier Racing Tire (Official SOD Tire), MAHLE/Clevite (Beyond Limits Challenge Sponsor), Driven Racing Oil (Battlegrounds Bash Sponsor), King Engine Bearings (King of Michigan Sponsor), Lane Automotive and MSD Ignition (Fast Masters Sponsor), Engler Machine & Tool (Primary Heat Race Sponsor), COMP Cams (Primary Heat Race Sponsor), RockAuto.com (Primary Heat Race Sponsor), The Perfit Corporation (Lucky Dog Sponsor), KSE Racing Products, and XYZ Machining. In addition, SOD contingency sponsors include: Allstar Performance, ATL Racing Fuel Cells, BR Motorsports, Diversified Machine Inc. (DMI), K2W Precision/Keizer Aluminum Wheels, King Racing Products, Kistler Racing Products, Maxim Racing, Motor City Racing Promotions, Racing Optics, Rod End Supply, Schoenfeld Headers, Seals-It, Simpson Racing Products, Walker Performance Filtration.